← Why Must a New Baby be a Negative? Another day closer to Baby G’s arrival and a few more things can be checked off the “To Do” list. On Wednesday, Jay set up Baby G’s Pack ‘n Play, which is what he’ll be sleeping in for his first few months while he stays in our room. 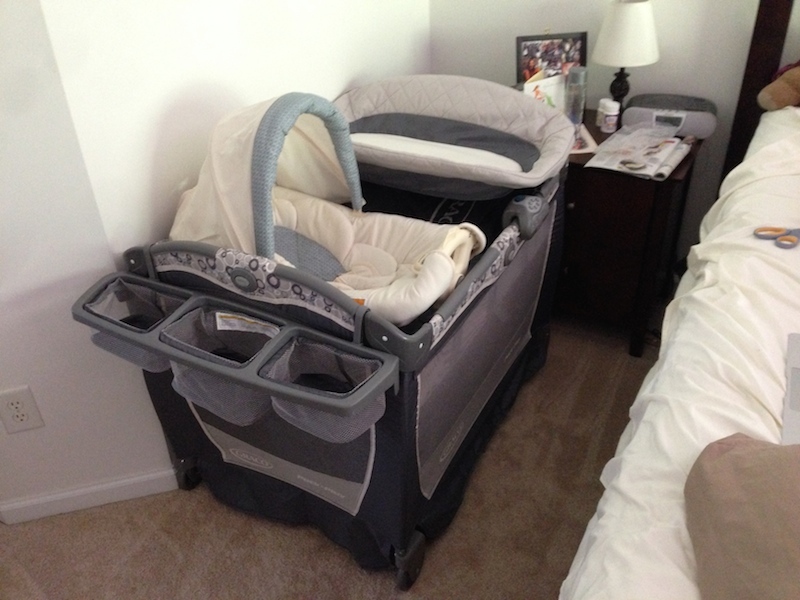 We bought the Graco Pack ‘n Play with the changing table and cuddle cove. Now that we have it set up, we’re starting to suspect that maybe we didn’t need all the bells and whistles that came with it, but whatever, we’re first time parents who dreamed big, haha. I know the changing table will only work until he’s 15lbs, but it will still *hopefully* be easier for middle-of-the-night feedings. I don’t know about the cuddle cove, since we also have a Rock ‘n Play and swing, but again, I’m sure we’ll figure it out! Anyone have any experience with this particular product or the Pack ‘n Play in general? We are going back home to NY a few times this summer and know that it will be easy to transport. Zoe isn’t thrilled about the new addition, mainly because it is off-limits to her and her own personal leisure. 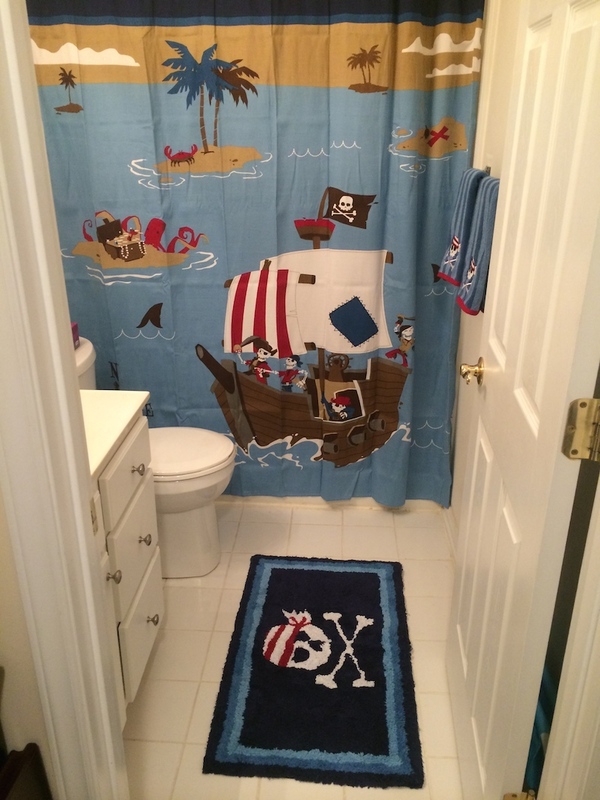 A few months ago, we evicted Zoe from the extra bathroom and began preparing it for Baby G’s arrival. Jay wanted to do a “theme” in there for him, even though yes, we know he won’t be able to appreciate it for several years. If you know me, you know that decor isn’t really my thing, so it was all up to Jay on what he wanted to do. 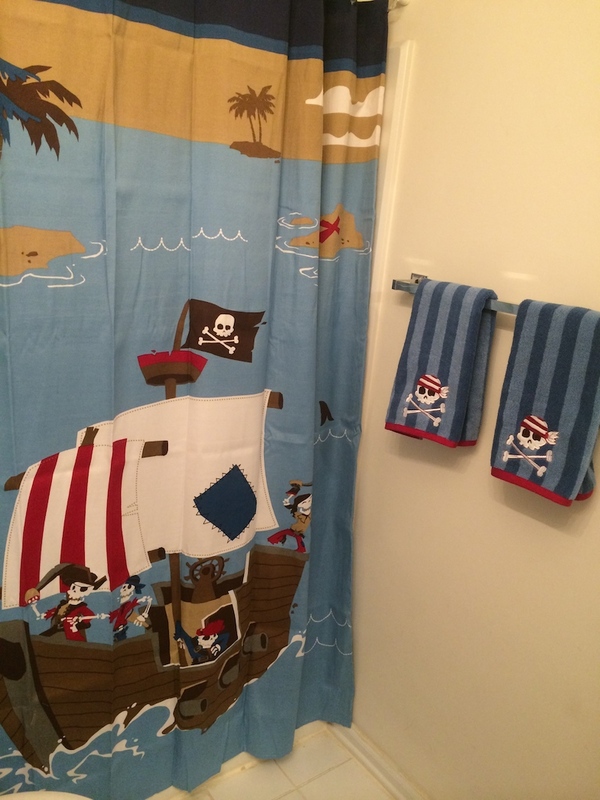 He found the pirate theme at Target and ran with it. It looks adorable. Baby G is going to have such a blast growing up with Jay and his enthusiasm. I can’t wait to watch the two of them. 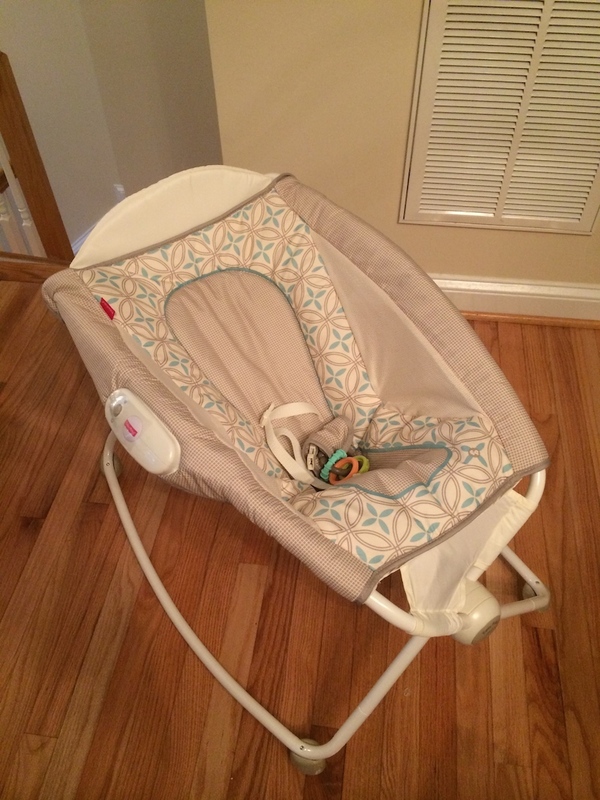 The Rock ‘n Play and Cradle ‘n Swing were both recommended to us by friends with kids and baby books we read. We were assured, “They are NOT the same!” My sisters got Baby G the Rock ‘n Play. Hopefully it works as magically as everyone says it does when it comes to helping Baby G nap when he’s chilling with Jay as he watches all that TV for Jay and Jack TV, hehe. The Cradle ‘n Swing was highly recommended in baby books and online forums that we used for research. This one was a gift from Jay’s grandpa. It’s adorable. It plays music and has a lot of fun things on it to keep Baby G occupied. I’d love this if I were a baby, haha, so my son better love it too. 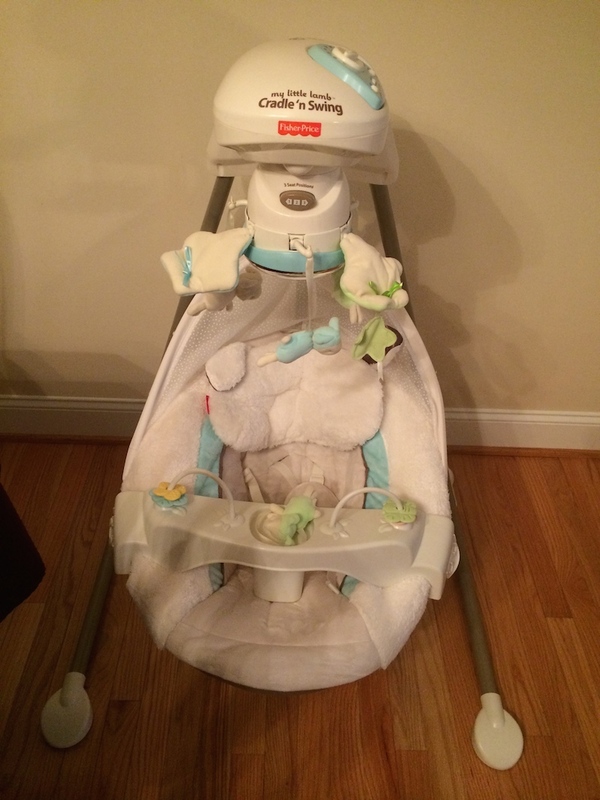 This entry was posted in Baby and tagged fisher price baby toys, Graco, graco pack 'n play, kids bathroom, my little lamb cradle 'n swing, pirates, rock 'n play. Bookmark the permalink.